Put Your Recruitment Process On Autopilot With An Applicant Processing System Designed Specifically For Small And Medium Sized Businesses!!! You post an ad either in the paper and/or online…then the madness begins. You start getting flooded with resumes by fax, email, and snail mail. Applicants start calling you to inquire about the position. Applicants may even start showing up at your office, despite specific instructions asking them not to. Before long, you are buried under an avalanche of resumes. To make matters worse, as you begin the painstaking process of reading through them – one by one — you begin to realize that a large number of applicants are so unqualified for the position, it isn’t even funny. After countless hours of scouring through resumes, you may be lucky enough to find a handful of applicants who you deem worthy of an interview. You contact them, set up a time for them to come in, and you then officially enter phase two of the hiring headache. Out of the group of candidates you selected for a face-to-face interview, approximately half of them show up (if you’re lucky). Out of those that do, you quickly determine that someone of them “enhanced the truth” on their resume and there isn’t an “A” player anywhere in sight. Out of sheer desperation and frustration, you end up hiring someone – the whole time hoping and praying that they work out. Fast forward 6-12 months down the road, and they’ve either quit or you’ve “invited” them to leave. You then get the pleasure of starting the candidate search all over again from scratch, which takes up even more of your time and costing your company a truckload of additional money. Imagine This Scenario – What If There Was. . .
A cost-efficient system that literally put your recruitment process on autopilot? A system that did all the heavy lifting and saved you massive amounts of time by automatically sifting, sorting, and separating high potential applicants from the duds? A system that easily identified the most qualified applicants so that you ended up interviewing only a handful of highly qualified applications. A system that enabled you to predict in advance, with pinpoint accuracy exactly how candidates would behave, perform, and function in the job, BEFORE you hired them? Give you a centralized place online where applicants can apply for all of your open positions. Create a user friendly applicant process for your candidates. Allow candidates to upload their resume electronically so you can view them online. Pre-screen candidates using a set of filter questions that you customize. Automatically assign points based on a candidate’s responses to your filter questions. Assess candidates with a sophisticated, scientifically validated pre-employment test that measures cognitive abilities, motivators/interests, and personality factors. This assessment accurately predicts how successful a candidate will be in the position! 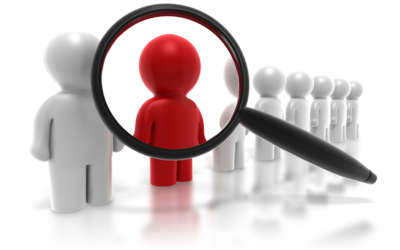 Sort applicants with the click of a mouse prioritizing applicants from most to least fit for the job. Enter notes and comments in an applicant record at any time. Easily assign statuses to applicants (i.e. not enough experience, meets basic requirements, hot candidate). Share candidate records with key staff without giving them access to your APS management interface. Brand your Applicant Processing System landing page with your company logo and colors – without any involvement from your IT department! Manage your recruitment process from anywhere in the world where you have access to the internet. Until now, most applicant processing systems were out of reach for most small to medium size business. They’ve cost too much money and were complicated to set up and use. That’s all changed with APS Pro. The APS PRO Applicant processing system was designed from the ground up specifically for small – to medium – size businesses. It’s a cost-effective solution that you can implement quickly. If your company hires only 1-2 people per year, no problem. You can run one-off campaigns on an as needed basis. If you hire staff on a regular basis, you can purchase an annual license that enables you to post an unlimited number of positions and process an unlimited number of applicants for 365 days!!! Click on the button below to schedule a FREE, no-obligation APS Pro demonstration. I’ll personally give you a guided tour of the system from both the applicant and administrator perspective. There’s no pressure, no hype – just a no nonsense online demonstration.